For a country as small and as densely populated as the Netherlands, there are a surprising number of great places to camp. Our favourite campgrounds are small and set in forest clearings or alongside rivers. When we’re tenting, we always look for a separate field (away from camper vans). Sometimes we also rent a yurt or cabin for the night. Small-scale campgrounds often have roomy, tranquil fields for your tent. 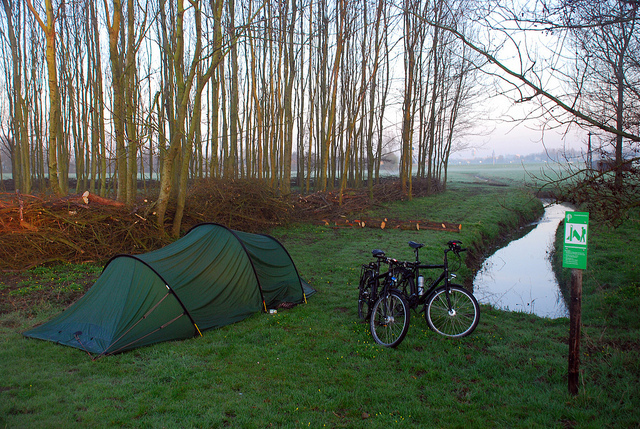 Here are some of the best sources we’ve found for beautiful camping in the Netherlands. 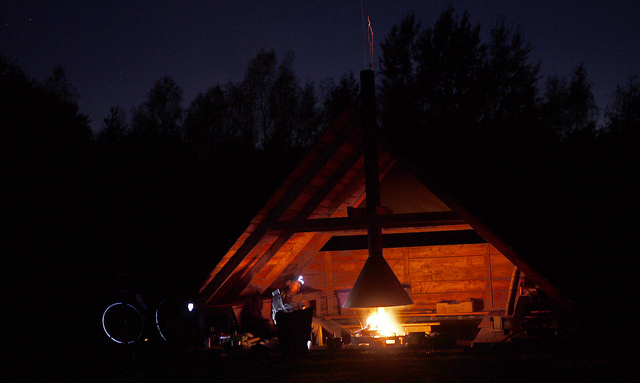 TIP: Similar to the nature campsites are “kamperen bij de boer” (camping on the farm) and “mini campings”. They’re not governed by a specific organisation but still tend to be charming and peaceful. Enjoying a campfire at a nature camping site. 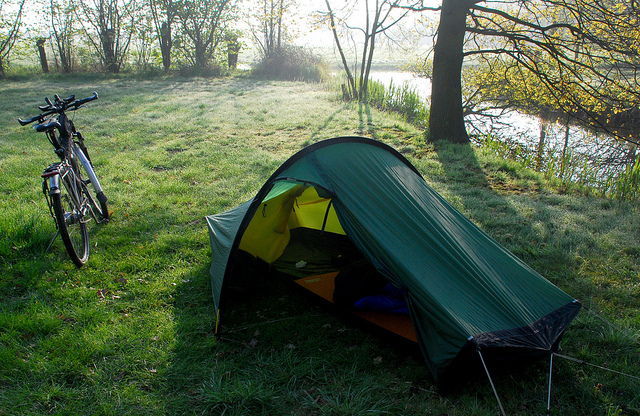 Free camping in the Netherlands, courtesy of the Staatsbosbeheer. Thanks for the great info! We truly miss Canadian camping, with nice secluded campsites in the forest like in a NP. This will definitely help us find some great spots. Many thanks for the wonderful information, please could you help me out? I’m arriving into the port of Amsterdam from the UK in early Dec and cycling to Prague, hopefully arriving in time for Christmas.. I’ve looked at many websites regarding camping in the Netherlands, my plan is to try and get to Amersdoorn on the first leg of my journey.